One of Nebraska's four venomous indigenous snakes, a copperhead in Gage County, Neb. Courtesy of Dennis Ferraro. A venomous snakebite can create a life-threatening situation. Often, the proper treatment requires the use of a specific antidote, called an antivenom, and the speed with which it can be obtained and administered can mean the difference between life and death. Approximately 3,000 native and 50 non-native (exotic) bites from venomous snakes are reported to U.S. poison centers each year. When the situation involves an exotic species, determining the appropriate antivenom, locating a supply, and getting it to the patient become particularly difficult challenges. A collaborative effort by the Association of Zoos and Aquariums (AZA) and the American Association of Poison Control Centers (AAPCC) uses new technologies to get treatment to the patient faster. Launched on Aug. 10, the Online Antivenom Index is a Web-based database allowing doctors, poison control centers and hospitals to access up-to-date information about antivenom stocked at AZA-accredited zoos and aquariums. In addition, the Antivenom Index offers information about what antivenom to use and allows coordination of delivery to the patient. 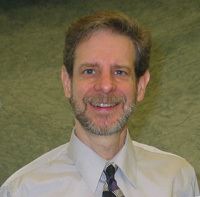 Steven Seifert, M.D., professor in the department of surgery, emergency medicine section, at UNMC, and medical director of the Nebraska Regional Poison Center, was one of the team members that helped develop the index. Antivenom (also referred to as antivenin) is a biological product used to provide medical treatment for venomous bites and stings. Similar to a vaccine, antivenom introduces antibodies into the victim reducing the effect of the venom. Many AZA-accredited zoos and aquariums that work with venomous species maintain supplies of antivenom to treat animal care staff who may accidentally get bitten while caring for these species. In addition, AZA members support their communities by making these stores available to hospitals and doctors when private citizens encounter and are bitten by venomous reptiles. The original Antivenom Index, also a collaborative effort by the AZA and the AAPCC, was published at irregular intervals in hard copy for the past 23 years. "Over the years, it became increasingly obvious that in order for the index to remain a viable tool it needed an immediately available format that can continually be updated," said Leslie Boyer, M.D., director of the Arizona Poison and Drug Information Center at the University of Arizona College of Pharmacy. Dr. Boyer is the lead investigator under a poison center stabilization and enhancement grant provided in 2004 by the U.S. Department of Health and Human Services, Health Resources and Services Administration (DHHS/HRSA). "The electronic index is the most efficient way for the AZA and the AAPCC to quickly collaborate to treat venomous snakebites," she said. "The new index can be life-saving," said Jim Maddy, president and CEO of the AZA. "While the primary purpose of the index is to assist personnel at a poison control center to locate the appropriate antivenom in the case of a snakebite, the index also will assist zoo and aquarium staff in selecting and importing appropriate antivenoms for treatment of bites and stings by animals in their care." "The AZA and the AAPCC recognize that most exotic snakebites occur among private collectors, who rarely, if ever, have their own antivenom. When this occurs, the only readily available supply is from zoo or aquarium stocks," said Dr. Seifert, who is a member of the AAPCC board of directors. 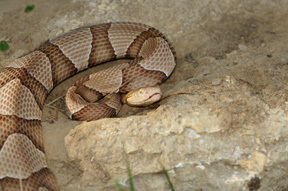 The online Antivenom Index, at www.aza.org/ai/, is password-protected and may be accessed only by AZA-accredited zoos and aquariums to update their stocking information or by any poison center when treatment is needed. "AZA-accredited organizations have expert animal care staff who manage a range of exotic reptiles," said Don Boyer, AZA Antivenom Index chair and curator of herpetology at the San Diego Zoo. "The index is an important tool that provides current information about appropriate antivenoms on the rare occasions when a snakebite occurs." This index is not intended as a key to the identification of venomous species. In the event of an envenomation (injection of a poisonous material by sting, spine, bite, or other similar means), the animal species involved must first be correctly identified. An expert in the field should be consulted to confirm identification. "The index also is not intended to replace the advice of the attending physician, but rather to serve as a reference," Maddy said. "It is the responsibility of the designated senior zoo or aquarium staff to develop and maintain a working relationship with the physicians and hospitals that would manage venomous snakebites for their institution." The listing of venomous species in this index is extensive, but not exhaustive. "It does cover virtually all of the venomous reptiles native to the United States or commonly held in zoos and aquariums or private collections as well as all of the animals for which we have confirmation that an antivenom is produced," Dr. Seifert said. The breadth of the repositories covers primarily snakes, one fish, and a variety of invertebrate species. Even if antivenom is manufactured for a particular species, there is no guarantee that the antivenom is available in North American institutions. If no zoo or aquarium currently has any specimens of a particular snake, the specific antivenom may not be available. In those instances, the index provides information on possible alternative antivenoms as well as adjunctive therapies that may be useful.